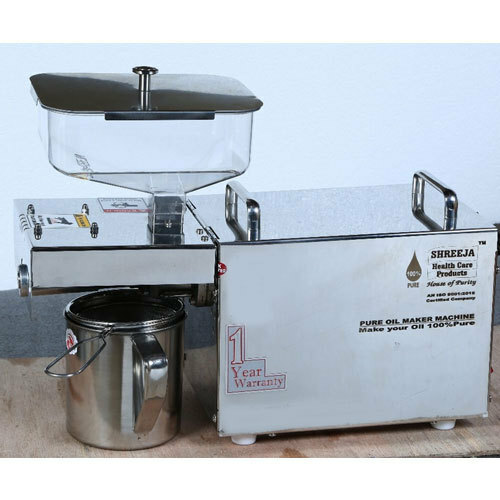 Shreeja Healthcare is leading manufacturers and wholesalers ofMustard Oil Maker Machine IndiaandOil Maker Machine India. It is very convenient that can help you make oil any time at any place. We “Shreeja Health Care Products (A Unit Of Laxmi Pipes Industries)” have gained success in the market by manufacturing a remarkable gamut of Oil Extraction Machine. We are a well-known and reliable company that is incorporated in the year 2017 at Surat (Gujarat, India) and developed a well functional and spacious infrastructural unit where we manufacture these products in an efficient manner. We are a Proprietorship firm that is managed under the supervision of “Mr. Mehul Vekariya” (Proprietor), and have gained huge clientele.